Welcome Vendor Partners! We have had a great start to 2019 with a great amount of support at our recent program on March 20th (attendee list still coming). We were even a bit tight with all the support and attendees (over 60)! 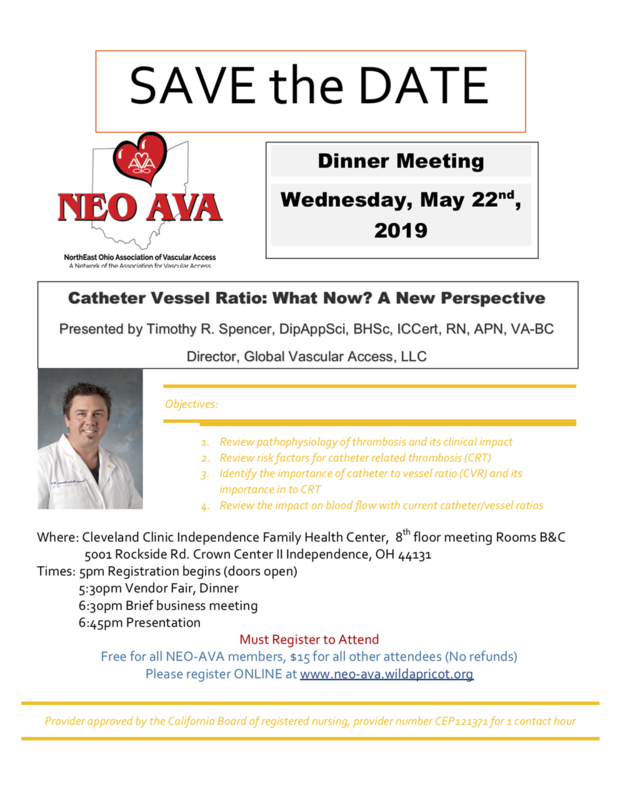 Our next program is May 22nd presenting "Catheter Vessel Ratio: Now What? A New Perspective" by Tim Spencer (many initials) and recent recipient of the Suzanne Herbst Award for 2019. Your table will include 2 paid dinners and 1.5 hours vendor time. Please register for pricing and reach out with any questions.